It is the wish of OCEAU MARINE to show profound respect for nature, not only in the ingredients they use but also in the packaging of the products. For example, only packaging made from biodegradable, recycled materials and vegetable inks is used to reduce the impact on the environment as much as possible. 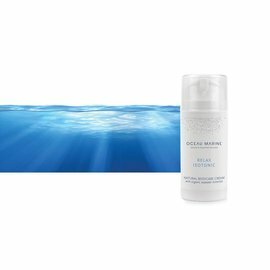 Oceau Marine is committed to developing products for all skin types, from babies to the elderly and for all ethnic groups. OCEAU MARINE Natural Care at NATURAL BIO STORE!